The 2016 Newbie Blogger Initiative was about to take a break this year. Seeing as it’s a big event that I didn’t want to see pass us by, I’ve tried doing a weekly prompt. You’ll notice there was none last week because Doone has taken the lead (kicking and screaming I bet) and announced the NBI will happen in June this year. What does this mean? Any reader that wants to start a blog themselves, or has friends or family looking to start a blog can climb aboard this initiative train and join along with veterans (and myself) for guidance and a boost of readership. Why it’s basically a personal place you can post opinions, advice, thoughts, reviews, comics, stories, rants, or just about anything you want to share with other people. What subject should I blog about? Well that’s up to you. I personally use it to talk about games and some fandoms I’m interested in. It can be whatever you want though; games, art, books, television, home improvements, anything. To join, you just need to start a blog, either with Wordpress or Blogger, or even make your own if you have the web skills. If you need help, contact us through the following means. Don’t fret if they look kind of bare at the moment. The event is still building up. 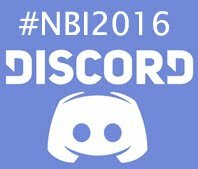 Once you have a site setup, please share it on Discord in the “Announce Your Blog” channel, and also the NBI forum board in the “Newbie Blogger Check-in” section. If you need any help along the way, please get in touch with us. Twitter is the best to get our attention. If you’d like to contact me directly, you can find me on Twitter at Tyrannodorkus. I’m also getting more settled in Discord, so you can find me there as well and you can find plenty of others there too. If you’re comfortable with Discord, you can also look into joining the Game Bloggers Anonymous channel that Jaedia setup.